There are so many things to thank God for as the Monterrey Festival continues. During a dedication service Friday night, every seat in the arena was prayed over, including the seat of a former gang member who later went forward to follow Jesus. 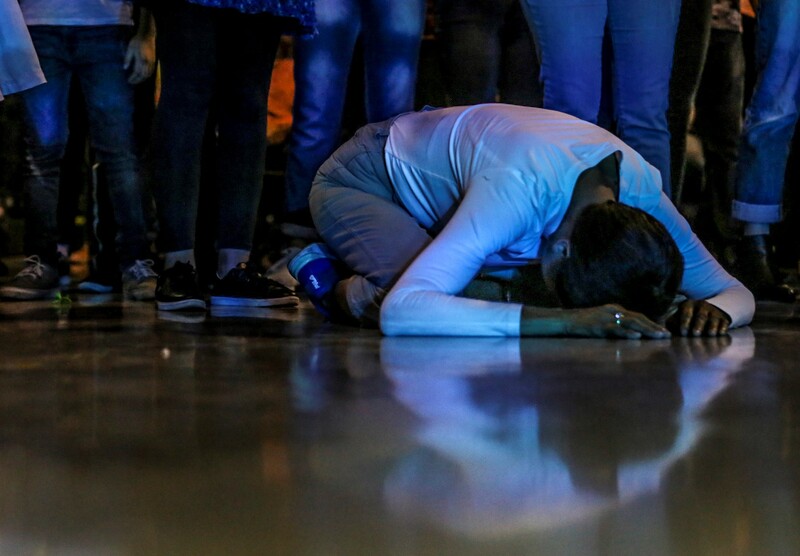 Their faces touched the cool, concrete floor as they lay outstretched in the middle of the arena, quiet and still as a band sang praises to God in Spanish. It was a beautiful, raw portrait of worship—this handful of people overwhelmed by God’s holiness in full view of over 16,000 others at Saturday night’s Festival de Esperanza (Festival of Hope) in Monterrey, Mexico. Franklin Graham had never been to Monterrey until this week, but said he’s fallen in love with the people of this city. His visit there has been warmly received as the Festival goes on this weekend, officially kicking off Saturday evening. So many showed up the first night that some couldn’t get in, instead pressing their faces against the glass doors of the arena or watching from a couple of small TVs set up outside. “We don’t know what God will do in the lives of those who come,” Franklin Graham said before the Festival began. He was reminded of a Charlotte, North Carolina, revival many years ago where his father, Billy Graham, gave his life to Christ. “If one person is saved, it’s worth it,” he said. That person could be a parent, child, friend or neighbor that someone has been praying hard for. That person might even go on to preach to millions more. Multiple news outlets attended a press conference the day before where reporters thanked Franklin Graham for being there and asked how this event may provide some kind of solution to the problems their city faces—specifically the lack of security and rampant crime due to gang violence and drug cartels. The deeper issue, Franklin responded, and the root of the problem, is security of the soul. Without a heart anchored in Christ—and a life dedicated to Him—he said in a room full of cameras and recorders, all kinds of human problems will persist. On Saturday, he repeated that sentiment in front of thousands more, including over 6,500 from 48 countries who watched the Festival online. “Man is searching for purpose and meaning to life,” he said from a packed Arena Monterrey. Monterrey is the third largest city in Mexico and the most Americanized, though still brimming with Mexican culture. 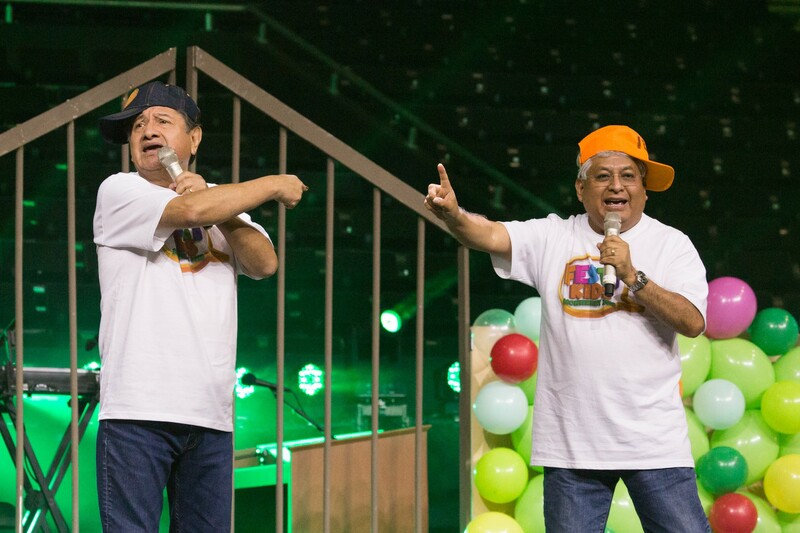 Of the 4.5 million people who live in the greater metropolitan area, though, only about 8 percent are considered born again believers, Festival Director Galo Vasquez shared before the two-day event. Most attend church on special occasions but lack that day-to-day relationship with Jesus, he said. His late father, Billy Graham, heeded the same calling to preach in several Mexican cities over the years. Franklin said one of the most important things his father taught him was the importance of prayer, and he’s been praying over this Monterrey Festival for months. So have thousands of others. “Let’s pray that the Holy Spirit would descend on this city,” he said a day before the event began. Looking around at people’s faces Saturday night, it seems that prayer was answered in the affirmative. More than 10,000 people attended FestiKids Saturday morning at Arena Monterrey. The event is dedicated to sharing the Gospel specifically with children. 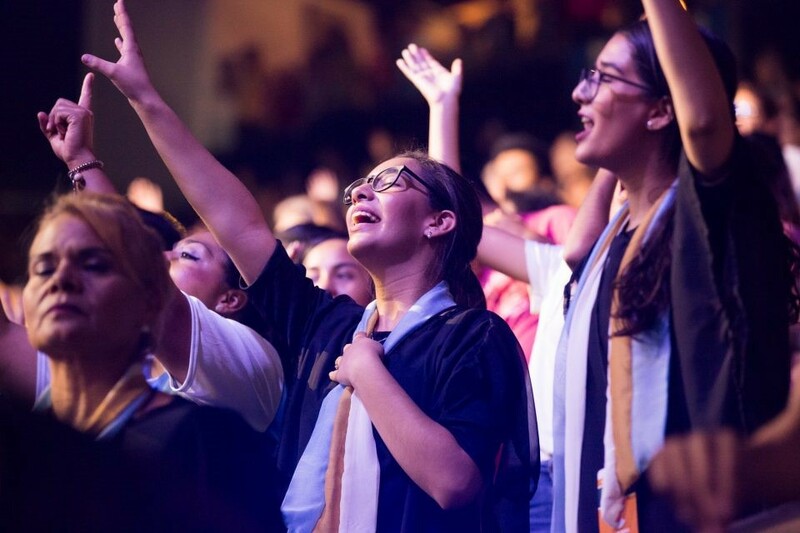 In an age when so many refuse Jesus Christ and mock His name, the Monterrey crowd could have moved a person to tears as they shouted, jumped, danced in the aisles and sang at the top of their lungs, totally unrestrained. The arena busted at the seams with people full of pure passion, willing and wide open to the Gospel. And when Franklin Graham invited them to walk forward as a sign of their commitment to Christ, they came. They were unashamed and ready, emptying seats on either side of the venue, in the front and the back, stuffing the aisles as they made their way down the steps until the floor could hardly be seen. Several hundred came. The crowd moved forward to make room for more, and when that wasn’t enough, a team of men stacked up the chairs at the back of the floor to offer more space. Even some who had been waiting outside the arena decided they wanted more of this Jesus they’d just heard about. A few prayer volunteers who stayed outside helped them take the next step. Inside, 29-year-old Jesus wasn’t sure at first. He had come with his wife and wanted to know he was forgiven of his sins, but hesitated to make a move. Then Franklin called again, and this time, Jesus got out of his seat. “God is revealing Himself,” said 23-year-old Jacia as the night ended. He’s not just a story, she said, but a real person who can make all the difference in their lives. Tatiana wants Christ to change her life, too. After a long embrace with one prayer volunteer, tears still filled the corners of Tatiana’s eyes as she wiped them away and smiled. 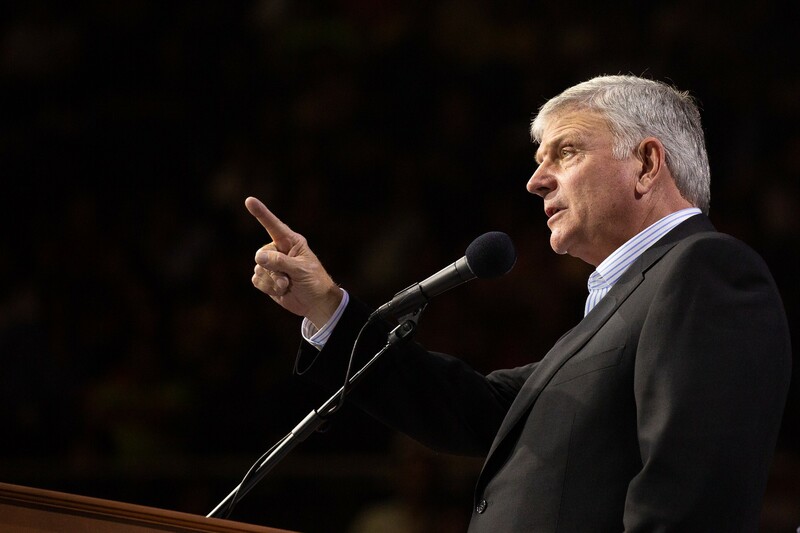 The 16-year-old was listening as Franklin Graham talked about the Prodigal Son in the Bible, the perfect example of a restless generation, continually searching for fulfillment in all the wrong places and putting God on the back burner. “I’ve been running away from God. I don’t have the same kind of relationship with Him that I used to,” she said. But she knows that can change and that God wants to use her gifts for His good.